Kmag is running a Blu Mar Ten remix contest and I decided to take part in it. Here’s my contribution. Please share your comments and favorite this, if you like it! We’re going back to the basics of atmo dnb in this remix: rolling beats & breaks with natural sounding basslines accompanied with atmospheric melodies. I wanted my remix to sound very different from the original, so I ended up rebuilding most of the elements, yet wanting the remix to resemble the original song at some parts. I spiced up the original piano with new old schoolish pads and melodies. Hope you like my contribution to the Kmag Blu Mar Ten remix contest. I put a lot of effort in producing this track, so feedback would be much appreciated. Please share your comments and favorite the track if you like it! – Mineral at New York 24th Feb 2012. Mauoq, a professional dnb producer & dj from the UK, has been busy recording another high quality dnb podcast. This time he goes really deep with experimental vibes. He also included my new unsigned track “Living The Dream” as the very last track in his set. Big ups Mauoq and listen below! 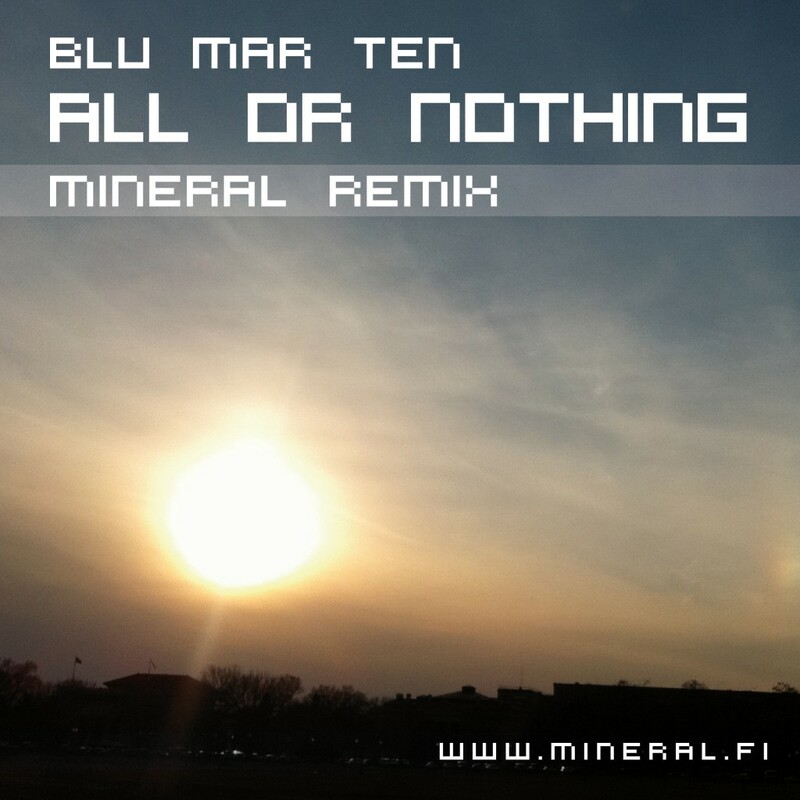 Mauoq was featured at Mineral.fi earlier with his free track “Unknown Recipient” [download]. Still Waiting is a chilly old schoolish dnb track I did back in 2006. It has been played by many djs in various chillout gigs and legendary radiochannels like YleX & Bassoradio, but the track was never released on any label. Considering today’s dnb standards, it has quite a low bpm, but I’d say that somehow the slower tempo allows more variations to the breaks and gives you a nice little groove, don’t you think? Ah well, it’s up to you to decide. If you like Good Looking Records material, this one’s definitely for you! If you like Still Waiting, I’d suggest you to check one of my earlier releases on In Da Jungle Recordings. It has the same GLR style with melodic and chilly pads & old school breaks. Buy the track if you feel like supporting an artist. The boss at the Lightless Recordings, the guy behind Fanuism, Master of Breaks - Fanu has many names for what he is really talented in: producing and dj’ing drum’n'bass. He has been busy lately with his album Serendipity getting released, remixing big name artists, doing lots of gigs, and planning future releases for his label. All this action has drawed even more attention to this talented artist: this time he was interviewed by Kmag. Along with the interview, he serves us a really dope Guest mix. The Kmag mix is one of the very best I’ve ever listened… It has such an incredible amount of crazy breakbeats with deadly basses that it’s really a _MUST_ for dnb lovers. Lightless material at its best. The atmosphere is really deep. The mix even includes a track by myself “Twisted Dream“, that was released on Lightless Recordings in 2011. Fanu has five medium Lightless T-shirts to give away for free. To enter the draw simply go to Fanu’s Facebook fan page and ‘like’ it. Fanu will then pick five winners and send out the T-shirts.